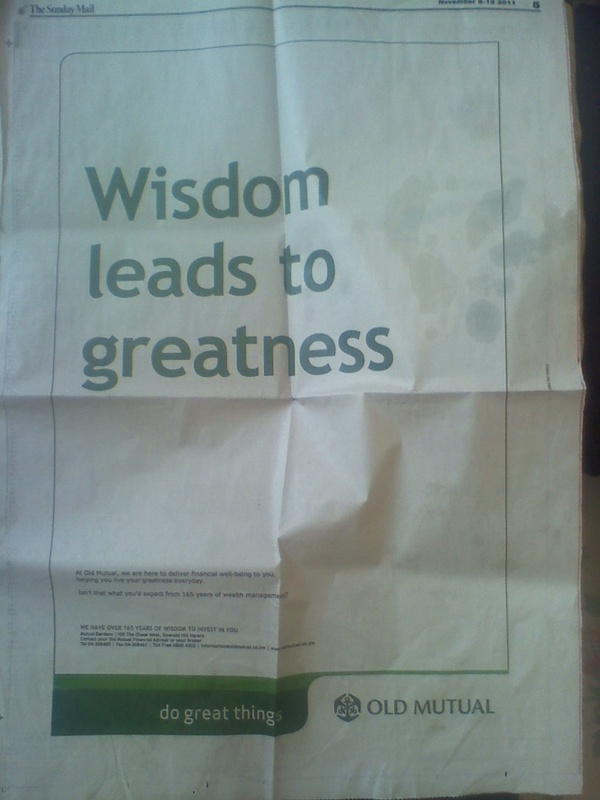 Old Mutual recently ran a full page advert in a local newspaper to let you know how long they’ve been in business. 165 years people. they want you to know that as a result of all those years of wisdom, you get to live your greatness everyday. What kind of greatness? In what way? Any examples? Testimonials? Proof? Alas, there wasn’t any room left to explain any of that, as you can see, unfortunately, the first sentence took up about 90% of the FULL PAGE~advert! Here’s what the advertisement says, in case you can’t read it too well. 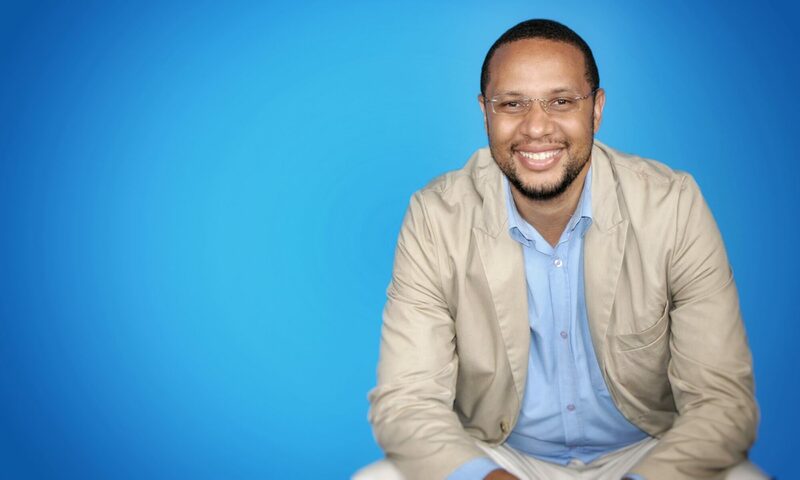 At Old Mutual, we are here to deliver financial well-being to you, helping you live your greatness everyday. Isn’t that what you’d expect from 165 years of wealth management? I’m tempted to get into who, what and why behind the design of this sort of advert but for now lets tackle something a little less spoken of…the size of your advert, size matters! You want to show how much money your business has and nothing says success like wasted white space. Lets talk about all three. Having lots to say. Not everyday, but it may be the case that you really have a lot to say that your market actually wants and needs to know. Perhaps you’re made a technological break through or you’ve come up with an genuinely incredible offer. Whatever the case, if (a) you can afford it, (b) it’s worth it and if (c) it’s going to take a full-page advert to attract, educate and persuade your market, go for it. Don’t Want Anyone To NOT See the advert. On the surface this seems like a great reason to have full page, full color adverts. Your advertising agency certainly won’t be complaining as they get a percentage of the money you spend on media bookings – they’ll probably keep it a secret (if they know) that a half pages advert has almost exactly the same visibility as a full page – for half the price. In fact some research shows that this is true even down to a third of a page…no one is going to miss it. Your money is much better spend on multiple exposures than one single full page. You want to show off how rich your business is or how well you’re doing. There’s a lot of ego involved in this one, but there’s also the hope that it will really impress people into choosing your brand over others. I’ve heard it said a few times that nothing communicates prestige like ‘white space’ – that nothing says “money”, like waste. To a degree it’s true. Be careful though, it’s tricky. When people read your ads they don’t care how impressive you think or say you are, they read through the lenses of the question ‘What’s in it for me? Answering that question should always inform the theme of your advertising and other marketing material. It might make you feel good, but if it’s not scratching an itch in the mind of your reader, it’s a waste. So, was it smart of Old Mutual to pay all that just to deliver not much more than a sentence with a vague and forgettable promise? More importantly, think smart about your own media space requirements. By the way, an advert that’s too small is as crazy as one that too big, just cheaper. Max I am an avid follower of your activities on fbk this is a very interesting topic for me.I am actually going to be tuckling a topic on low cost advertising in a seminar with a group of charity workers in 2 days time thats why this topic has just caught my eyes.Now then I would love to know whats the cheapest way and yet effective way to advertise your services or your products in this economic environment right now?I live in the UK so I can undertsand there may be some differences in our markets and access to facilities but hey your hints will help. Next PostNext Zimbabwe Newspapers and How To Win The Daily Battle For Attention.